There's a funny, but poignant video on YouTube with Larry Ellison, CEO of Oracle, claiming that the "Cloud" is nothing more than networked computers. SOURCE: Update, since posting this blog, the video has been removed from YouTube. In the late 90’s when I worked at Siebel, the internet was taking off and there’s was no shortage of views about how the internet was going to change the world forever. All commerce would move online, stores would close and move online. Yes, in some cases we saw that happen. For some companies this worked well, others collapsed and have never been seen again. Siebel took the approach that what was happening was a change in buyer behaviour, they called it a multi-channel approach. 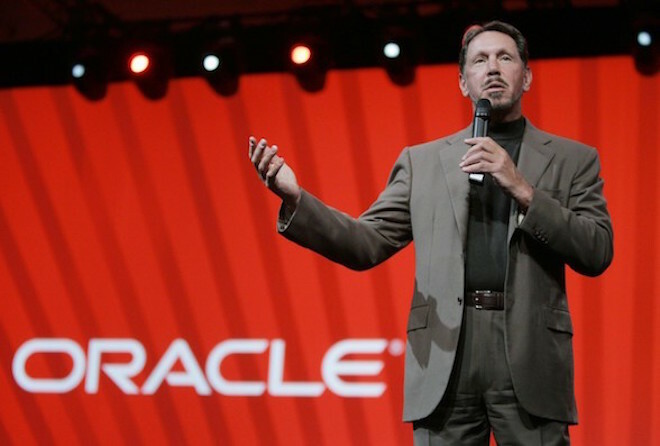 “If you thought you could count Oracle out of the cloud-first world, you best think again. Larry Ellison, the legendary founder of the world’s second largest software maker, isn’t talking about keeping his head above water at his company’s Platform-as-a-Service (PaaS) event at the Oracle Conference Center on Oracle Parkway in Redwood Shores, Calif. (couldn’t he change the town’s name?). “We are now able to call our cloud apps and platform technologies ‘complete,’” he said. Marc Benioff, ex Oracle and CEO of salesforce.com is probably one of the IT industries most famous Cloud proponents. His entire business model is built in the Cloud albeit software, operating systems and more sitting, by the way, on Oracle hardware. I never really understood Benioff’s notion of “no software”. I love the Cloud, every day I use applications sitting in the Cloud. We use Gmail at work, I support customers every day with Oracle Marketing Cloud Eloqua. I record my interactions and activities in Oracle Sales Cloud CRM. I look for images for use in campaigns at Dollar Photo Club and I track my time in Trigger as well as book meeting rooms in my office with Skedda. It’s fair to say, my entire working day is spent in the Cloud. There are many benefits to being in the Cloud or having your systems in the Cloud. One huge plus that I see every day is access, being able to access all of our systems from anywhere. As long as I can get online, I have access to everything I need to do my job and support our customers. As our workforces become more mobile, especially sales and service teams, mobility is key. The other key area is connecting systems. Modern Marketers are always trying to avoid data silos, separate systems where data is in isolation to their core systems. The key question we often ask is “does X system have API’s?”. Click here to see a great explanation of an Application Programming Interface. Oracle Marketing Cloud Eloqua has an exquisite capability to connect with just about anything e.g. via API’s, this becomes a very powerful level of functionality for marketers as they try to maintain a “single view of the customer”. Having to wait for overnight batch updates can seriously hamper a Marketers ability to engage or strike while the iron is hot. The “moment” can be lost if you’re waiting for data to flow into X system from a data warehouse. API’s give Marketers the ability to access information now, while a campaign is in motion. The Cloud, API’s, Modern Marketing – all of these tools empower Marketers and more widely, businesses, to deliver the best possible Customer Experience. Whether we call them “networked computers” or the “Cloud”, these systems provide Marketers with an unprecedented level of access to profile and behavioural data to deliver the best possible experience to their prospects and customers.